Bremer Kennels is a family-run kennel located in Azle,TX (20 miles west of Fort Worth). We have been in business since 2003. We have a first-rate facility and operation. This is a full-time job for us and we don’t take it lightly. We homeschool and our kids are a big part of Bremer Kennels, from feeding and taking care of the daily maintenance of the dogs to playing, socializing and training dogs. We raise American Cocker Spaniels, Boston Terriers and Golden Retrievers. We maintain our kennels very clean and our dogs are let out and exercised daily. The puppies and whelping moms are kept in a very safe and clean environment in our puppy nursery, and we use a kennel system that keeps the puppies completely away from their waste. We also give the whelping moms and puppies the NuVet Plus supplement to improve their quality of life and health. Our kennel is AKC-inspected every 18 months, and has been rated above average. Click here to see our Certificate of Inspection. Our kennel is also a Texas Licensed Kennel, License number 284. As a licensed kennel by the state, we are also inspected every 18 months and are required to charge our Texas customers sales tax. Click here to see our Texas Breeder License Certificate. Our puppies are dewormed at 2, 4, and 6 weeks. They get their first set of shots at six weeks. You receive a Puppy Care Package that includes a Purina Puppy Kit, the health record and a bag of puppy food. Our puppies come with a year health guarantee. 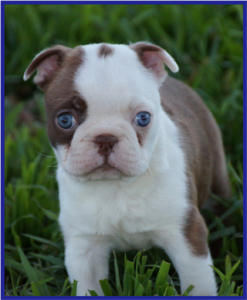 You must take the puppy to the vet for a checkup within 3 business days of purchase for the guarantee to take effect. 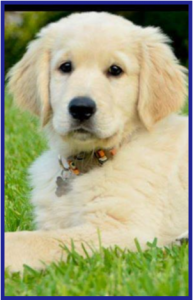 We also require that you give your puppy the Nuvet Plus Supplements during the first year. We must ensure proper nutrition of the puppy after it leaves our care. (Nuvet Plus 1-800-474-7044, Order Code: 62391)We accept cash, credit card (Visa or Master Card) or PayPal. You do not have to have a PayPal account to use your credit card. As noted below, please call us to confirm we still have the puppy prior to payment. To see pictures of our previous puppies all grown up, please visit the Bremer Kennels Facebook page. Like the page to get notifications of new litters and when new pictures or videos are posted. We want to thank all our customers for their support and kindness. Providing a puppy to a family brings us great joy and we are proud to have great, happy and grateful customers all over the United States and in some countries of Europe. Thanks for visiting our page. 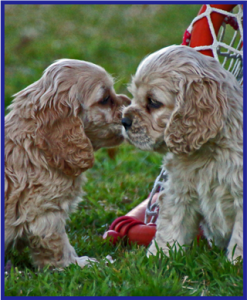 Please visit our individual websites for Cocker Spaniels, Boston Terriers and Golden Retrievers. It is our pleasure to serve you!